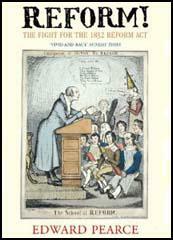 In his book Take Your Choice (1776), Major John Cartwright argued the case for parliamentary reform including: manhood suffrage, the secret ballot, annual elections and equal electoral districts. In 1805 Cartwright left his large estate in Lincolnshire and moved to London. Cartwright made friends with other leading radicals living in London including Sir Francis Burdett, William Cobbett and Francis Place. In 1812 Major John Cartwright decided to form the first Hampden Club. He then toured the country encouraging other parliamentary reformers to follow his example. Cartwright main objective was to unite middle class moderates with radical members of the working class. This worried the authorities and this led to Cartwright's arrest in Huddersfield in 1813. Edward Thompson, the author of The Making of the English Working Class (1963) has argued: "Major Cartwright defined as early as this the main claims he never swerved. Incapable of compromise, eccentric and courageous, the Major pursued his single-minded course, issuing letters, appeals, and pamphlets, from his seat in Boston, Lincolnshire, surviving trials, tumults, dissension and repression.... before the Napoleonic Wars had ended, he found the first reform societies of a new ear, the Hampton Clubs, in those northern industrial regions where his clerical brother had eccelerated other processes of change with his invention of the power-loom." The first Hampden Club outside of London was formed in 1816 by William Fitton at Royden. Soon afterwards, Samuel Bamford formed one at Middleton and Joseph Healey did the same in Oldham. Later that year John Knight and Joseph Johnson started the Manchester Hampden Club. Other clubs supporting the ideas of Major John Cartwright were also formed in Rochdale, Ashton-under-lyne and Stockport. Meetings took place once a week and as well as having debates on various political issues, radical newspapers such as the Manchester Observer, Cobbett's Political Register, the Black Dwarf and Sherwin's Political Register were read to the members. Manchester's magistrates became concerned about the growth of Hampden Clubs and Joseph Nadin Manchester's Deputy-Constable, began employing spies to attend meetings. Nadin, who had already arrested a large number of men for political offences, was much hated by local radicals, and it was claimed that he was the "real ruler of Manchester". After collecting enough information on members, they were arrested and charged with attending seditious meetings. In March 1819, leaders of the Hampden Clubs in the Manchester area decided to form the Patriotic Union Society. All the leading radicals in Manchester joined the organisation. Joseph Johnson was appointed secretary and James Wroe became treasurer. During the summer of 1819 the Patriotic Union Society decided to invite Major Cartwright, Henry Orator Hunt and Richard Carlile to speak at a public meeting in Manchester on parliamentary reform. The men were told that this was to be "a meeting of the county of Lancashire, than of Manchester alone. I think by good management the largest assembly may be procured that was ever seen in this country." Cartwright was unable to attend but Hunt and Carlile accepted the invitation and it was decided to hold the meeting at St. Peter's Field on 16th August, 1819. Hampden Clubs were established in many large towns, and the villages around them, for weekly readings and discussions. One of these clubs was established in 1816, at the small town of Middleton, near Manchester; and I, having been instrumental in its formation, a tolerable reader also, and rather expert writer, was chosen secretary. The club prospered, the number of men increased, the funds raised by contributions of a penny a week became more than sufficient for all out-goings, and taking a bold step, we soon rented a chapel which had been given up by a society of Kilhamite Methodists. We held our meetings there on the evenings of Monday and Saturday in each week. Several meetings of delegates from the surrounding districts were held at our chapel. On 1st January, 1817, a meeting of delegates from twenty-one bodies was held in our chapel, when resolutions were passed on the right of every male to vote, who paid taxes; that males of eighteen should be eligible to vote; that parliaments should be elected annually; that every twenty thousand inhabitants should send a member to the House of Commons; and that talent and virtue were the only qualifications necessary. (2) William Ogden, a member of the Manchester Hampden Club, was arrested by Joseph Nadin in March 1817. In court he explained what had happened. The notorious Joseph Nadin had for six weeks before declared to me, from time to time, that if I did not discontinue my attendance at the meetings, he would apprehend me. 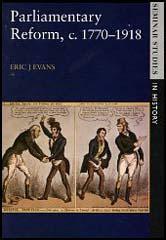 (3) In his book Historical Sketches and Personal Recollections of Manchester (1851), Archibald Prentice described how some of the leaders of the Hampden Clubs were arrested by Joseph Nadin and sent to be tried in London.